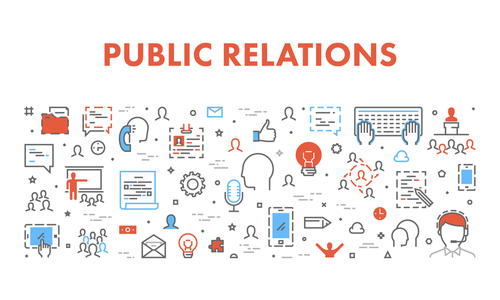 Why is Public Relations (PR) important for your business? When we talk about PR, it helps companies get noticed by existing clients, prospects and business partners. Hence, it is essential that enterprises understand the benefits of public relations (PR) to create a workable plan to tap the attention of clients. Experts define the term PR as activities that allow a firm and its audience to get used to each other. Many also claim that PR helps in improving the relationship of a company with the public. In the marketing domain, PR means promoting the right thing by using publicity and other non-paid communication tactics to inform people. Create editorial contacts, disburse news releases, emerge as a top news source by offering guest posts, editorials and engage in media interviews, forums. Publicity plays a crucial role in media relations. Using newsletters, meetings, events, and programme to speak with internal audiences is an excellent way for a business to display its commitment to do the right thing. It is essential that an enterprise strengthens relations in the domestic market by inking collaboration with local groups, joining charitable endeavours, spending funds on causes and projects that prove beneficial for the community. When a startup understands the relevance of building community relations, it helps in enhancing visibility and positioning of the brand. Every business, irrespective of its size, should join industry associations and take part in industry initiated events and work in preferred business arena to push their visibility. Emerging as a known name helps in augmenting credibility among colleagues and audiences. Getting your firm acquainted with the key government officials is a great idea to create favourble impression. Any negative news about your enterprise may hamper its image. One of the essential benefits of PR is its ability to manage crisis situations and resolve complex issues effectively. Although, PR as a concept sounds simple but it needs tremendous amount of effort and planning before a brand is featured in a print article, blog, social media page, TV or radio. These efforts consume both time and money. Every time a business house is able to generate positive publicity, victory is scored. Public relations services have the ability to create a buzz about your firm and the power appeal to reach a large audience base. Hence, it is advised to growth-oriented businesses to employ a specialist PR to help them with their particular marketing needs.